How much is Winston Groom Worth? Winston Groom net worth: Winston Groom is an American novelist and non-fiction author who has a net worth of $10 million. 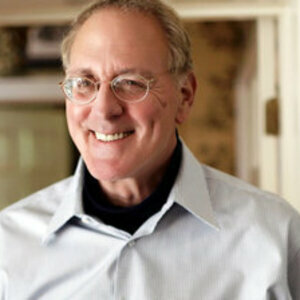 Winston Groom was born in Washington, D.C. in March 1943. He is best known for writing the book Forrest Gump. Groom graduated from the University of Alabama and then served in the Army during the Vietnam War. He was a reporter for the Washington Star. Groom has authored the novels Better Times Than These, As Summers Die, Only, Forrest Gump, Gone the Sun, Gump and Co., Such a Pretty, Pretty Girl, and El Paso. He has also authored the non-fiction works Conversations with the Enemy: the story of P.F.C. Robert Garwood, Shrouds of Glory: From Atlanta to Nashville: The Last Great Campaign of the Civil War, The Crimson Tide: An Illustrated History of Football at the University of Alabama, A Storm in Flanders: The Triumph and Tragedy on the Western Front, 1942: The Year that Tried Men's Souls, Patriotic Fire: Andrew Jackson and Jean Laffite at the Battle of New Orleans, Vicksburg, The Crimson Tide: The Official Illustrated History of Alabama Football, National Championship Edition, Kearny's March: The Epic Creation of the American West, Ronald Reagan: Our 40th President, Shiloh, The Aviators: Eddie Rickenbacker, Jimmy Doolittle, Charles Lindbergh, and the Epic Age of Flight, and The Generals: Patton, MacArthur, Marshall, and the Winning of World War II.